Nuclear Power: Is Smaller Better? SMRs to the Rescue. Home | Product Developments | Nuclear Power: Is Smaller Better? Nuclear Power: Is Smaller Better? With cheap shale gas and falling power costs from renewables such as solar, nuclear power looks like yesterday’s technology but, for two reasons, it still matters greatly. Not just in the U.S. but in many other countries where the technology is already well established and where the search for less polluting alternatives to coal has been picking up. Nuclear may be thought of as yesterday’s technology, but its emission-less power generation makes it attractive. Source: Adobe Stock/mandritoiou. 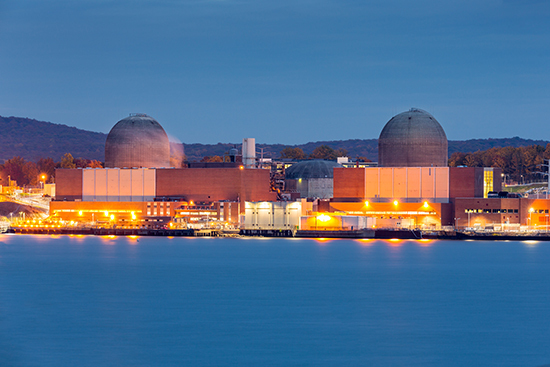 Nuclear power still generates 19% of the electricity consumed in the U.S. and is arguably the most reliable base-load provider, not just for day-to-day supply but for decade-to-decade. Emitting zero carbon emissions during power generation (green lobbies would claim considerable CO2 is released during construction, not least of which comes from the amount of concrete involved in containment structures) nuclear power plants have been operating for nearly 50 years. A New York Times article tells the story of the H.B. Robinson nuclear power plant, about 70 miles from Columbia, S.C. It has been producing electricity with few interruptions since the Nixon administration. The plant is scheduled to be shut down by 2030, when it will be six decades old. Nor is it alone, between 2029 and 2035 about a third of the country’s 99 reactors will have their operating licenses expire and, as it stands, will therefore close. There continues to be a significant amount of research money flowing from government departments such as the Department Of Energy into research facilities like the Idaho National Laboratory (INL) but no clear vision has yet emerged about which technology will be the most suitable if the industry is to continue contributing a significant portion of the county’s power in the decades to come. The nuclear industry makes no claims that this will change soon. New technologies can take 20 years to reach regulatory approval and for plants to then be built. Still, in both the U.S. and in the U.K. one design concept that could come to market sooner rather than later already has an established track record. Small modular reactors (SMRs) are, as the name suggests, units designed to produce power at a much smaller scale than the 1,000-2,000 megawatts of current new build designs. Typically, SMRs are 300 mw or less and plans in the US by NuScale, a firm working with Utah Associated Municipal Power, envisage reactors being built in a factory and transported by road or rail to a generating site where they would be grouped together in a modular fashion. The most advanced is the Intermountain West project which envisages 12 small reactors operating at a site by the middle of the next decade. In the U.K., a firm with 50 years of experience building SMR’s for the British Royal Navy’s fleet of nuclear powered submarines says it can generate power at least a fifth cheaper than new, much-delayed projects such as Britain’s proposed massive 3,200 mw Hinkley Point project. Rolls-Royce has submitted detailed plans to the British government for SMRs capable of generating 220 mw that could be used in tandem with larger arrays depending on the local demand and infrastructure and, even with the need for regulatory approval for civilian use, could be operational within 10 years. Wind and solar power have come to represent a significant portion of installed capacity in many countries, but their contribution is variable and subsidies, although falling, have been controversial. Not that nuclear will not need guaranteed tariffs to be viable but it does, like renewables, have such a low carbon footprint that its attraction in meeting emission targets outweighs, at least in legislators’ eyes, the cost. Unlike renewables, too, nuclear is outstandingly reliable to meet base-load demand. In the current climate of low-cost natural gas, new capacity is being built using shale gas in the U.S. The extent to which this replaces coal is positive for reducing carbon emissions, but its replacement of aging nuclear plants will have the opposite effect. Big is not always beautiful. Or better, The future for nuclear may follow the saying that the best things come in small packages. Historically, smaller reactors were shut down because they were not cost effective and were not economically sustainable.